Place the carrot in a big bowl and, using the back of a wooden spoon, press it to bring out the juice. Add the breadcrumbs and mix until they’re soft from the juicy carrot. Add the lamb, mint, honey, garlic, cumin, salt and pepper. With clean hands or a spatula, mix everything really well to combine. Shape 1 heaped tablespoon of the mixture into a ball. Thread it onto a small skewer and mould it to make an oval shape. Repeat with the remaining mixture to make 10–12 skewers. Place the oil in a large non-stick frying pan over medium heat. 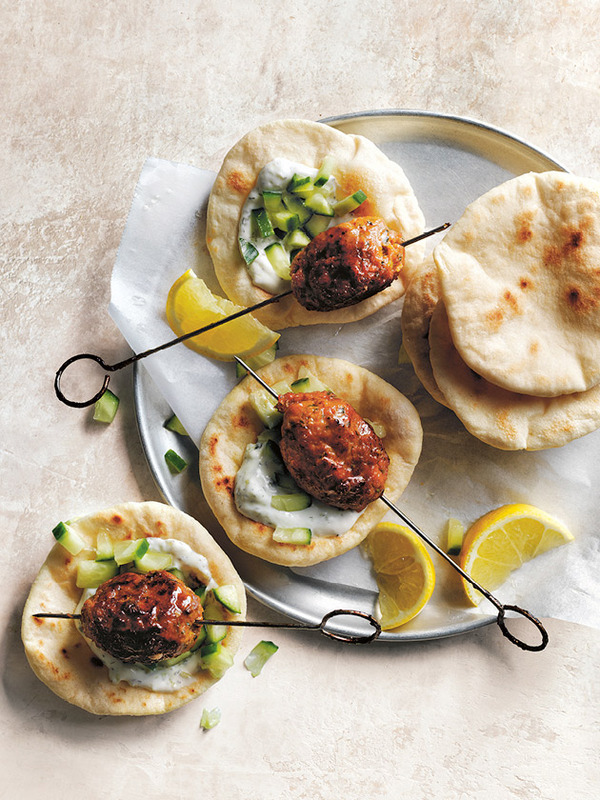 Cook the skewers, in batches, for 3–4 minutes each side or until golden brown and cooked through. I used sweet potato instead of carrot and it was delicious too.